I don’t often give my opinion about controversial subjects that make the rounds on genealogy blogs or related forums, but I thought I would today. Every now and then, I think about whether I should publish on my blog the family correspondence that’s come into my possession, like family letters (from Dad to Mom) and correspondence from relatives (from my grandmother’s nieces to her). So far, I haven’t done so, because of the amount of time it takes to read and transcribe the letters and to choose which portions would be interesting for the public. I’m also mindful of the ethics and etiquette involved in making my decision. Denise Levenick makes good points about this very subject in her article Ethics, Etiquette and Old Family Letters. Her thoughts on the matter reminded me of two famous authors whose letters and written material were edited before they were published: Queen Victoria and Anne Frank. 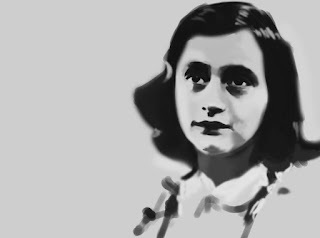 Anne Frank (1929-1945) kept a diary from June 1942, a few weeks before her family went into hiding, until three days before her and her family and their hiding companions were discovered and arrested in August 1944. Her diary was left behind in the ‘secret annexe’, unnoticed, until one of the family’s helpers discovered it and held on to it for safekeeping. Later, the diary was given to Anne’s father, Otto, who survived the war. I recognize that we must all decide how to approach what we do with old family letters and similar correspondence. If I ever publish selections from letters in my possession, I know that I don’t see myself rephrasing or modifying parts of them. Instead, I would just omit those parts. On the other hand, I’m not sure what I would do about passages that illustrates someone’s openness and truthfulness about a sensitive, personal topic. Again, I would probably omit than share. (London: Oneworld Publications, 2014), 9. 2. Arthur Helps, editor, Leaves from the Journal of Our Life in the Highlands (New York: Harper & Brothers, Publishers, 1868), vii. 3. 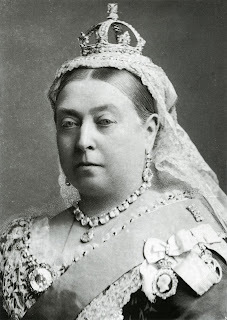 Ward, Censoring Queen Victoria, 10. 4. Ward, Censoring Queen Victoria, 10-11. 5. Wikipedia contributors, "The Diary of a Young Girl", Wikipedia, The Free Encyclopedia (https://en.wikipedia.org/wiki/The_Diary_of_a_Young_Girl : accessed 22 March 2016). 6. “Anne Frank’s diary is published”, The Diary of Anne Frank (http://www.annefrank.org/en/Anne-Frank/The-diary-of-Anne-Frank/Anne-Franks-diary-is-published/ : accessed 22 March 2016). 7. Wikipedia contributors, "The Diary of a Young Girl", Wikipedia, The Free Encyclopedia (https://en.wikipedia.org/wiki/The_Diary_of_a_Young_Girl : accessed 22 March 2016).